The wild population is currently estimated at less than 8.000. 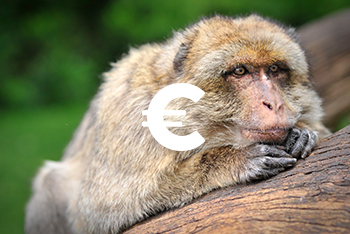 Since 2008 the Barbary macaque has been classified by the IUCN as an endangered species due to the major decline in wild populations. In the last 30 years their numbers have more than halved. regions of North Africa, in Morocco and Algeria, where it lives in forests, gorges and on rocky ridges. The Barbary macaque (Macaca sylvanus) originates from the mountainous regions of North Africa, in Morocco and Algeria, where it lives in forests, gorges and on rocky ridges. Barbary macaques live in groups made up of both males and females. Each group has its own area or “home range”, with food, water and trees or gorges where the monkeys spend the night, safe from predators. 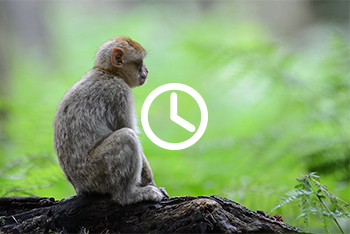 Barbary macaques live in a temperate climate and are use to hot and dry summers and cold, snowy winters. 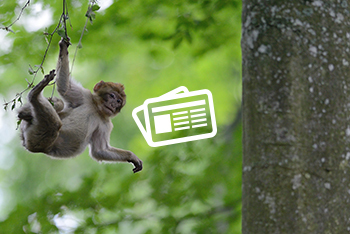 This is why at ‘La Montagne des Singes’ they can live outside all year-round. They are well adapted to this type of climate, protected against the cold by long, thick fur during the winter and they moult in the spring. A male, usually aged between 10 and 15, heads the hierarchy. He holds the position for several years before being replaced by a younger male. It is easy to distinguish between adult males and females. The males are larger and weigh an average of 17kg, whereas the females are smaller and weigh around 13 kg. throughout North Africa 300 years ago! Nowadays there are only isolated clusters in Morocco and Algeria.